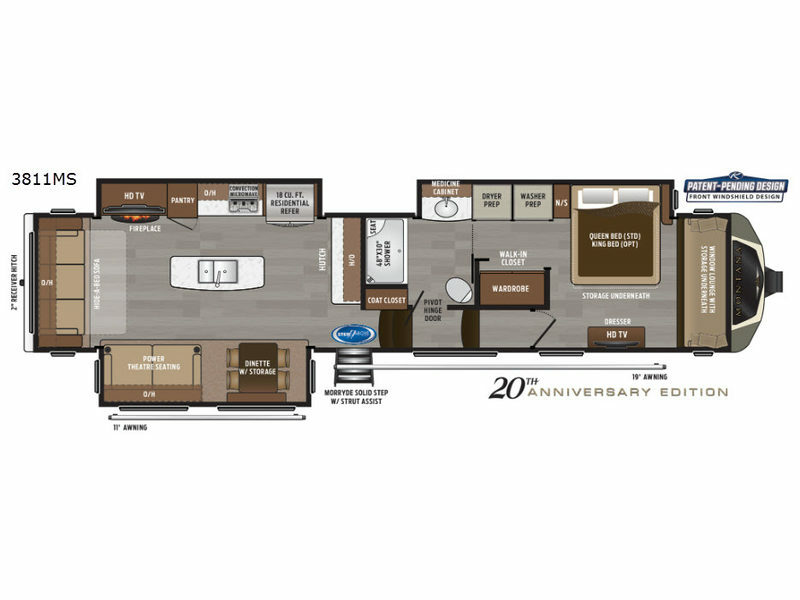 You are going to love the master suite in this fifth wheel! With triple slide outs, a unique window lounge up front, and all of the necessities plus some, this can truly be your luxury home-away-from-home! The master suite features a patent-pending windshield with a lounge and storage underneath, a walk-in closet between the bedroom and bathroom including a washer/dryer prepped space, and access to the bathroom. 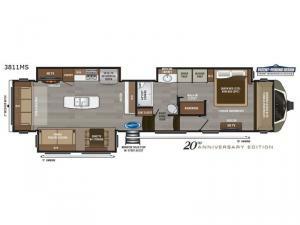 The combined rear living and kitchen area allows you to make meals, visit with family, and relax while watching the HDTV all while being comfortable on the furniture with the warmth of the fireplace. The kitchen features a center island, an 18 cu. ft. residential refrigerator, convection microwave, a hutch, and a pantry, plus more. Outside you can relax under one of the two awnings and enjoy the fact that you own a Montana.